This entry was posted in Children's Books, Elephant's Alphabet, Elephant's Story, Picture Books, Uncategorized and tagged American Booksellers Association, book illustrators, Elephant, Elephant and Gracie, Elephant Picture Book, Elephant's Story, Farrar Straus Giroux BYR, FSG, Macmillan, Margaret Ferguson Books, picture book, Tracey Campbell Pearson on November 28, 2015 by tcpearson. 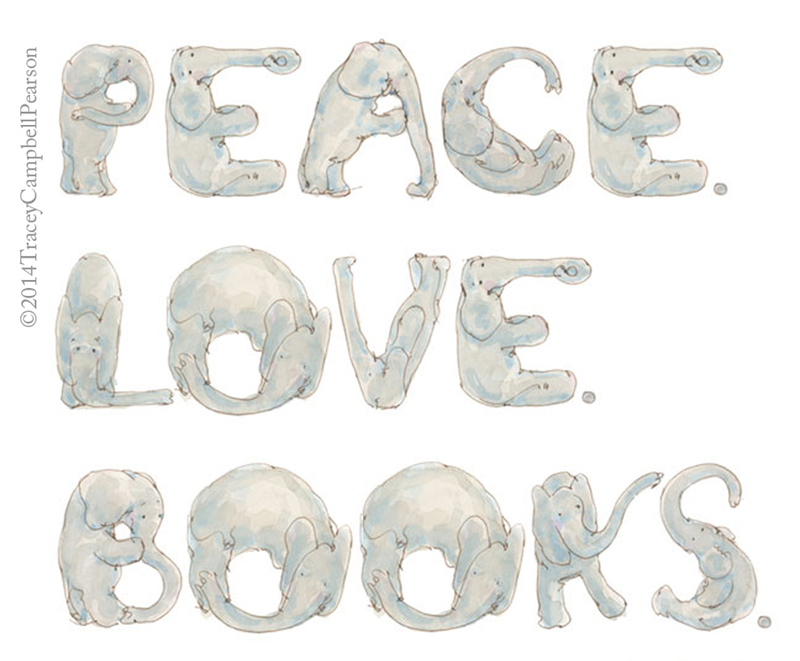 Elephant Alphabet for Peace. Love. Books. 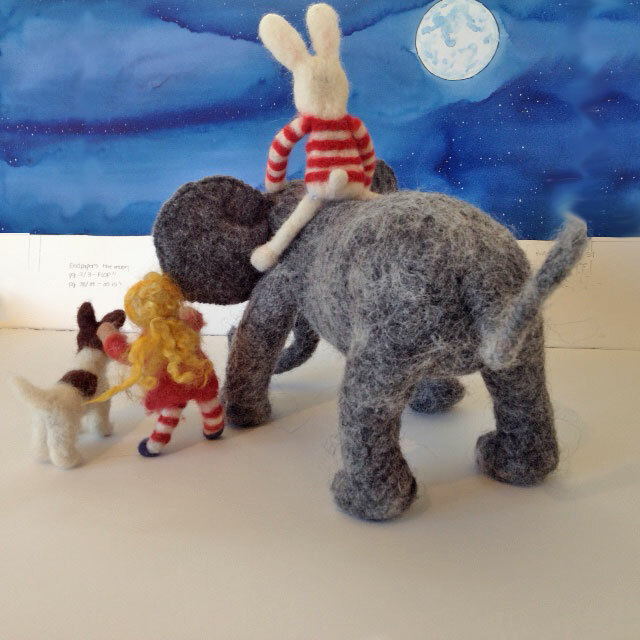 This entry was posted in Children's Books, Elephant's Alphabet, Elephant's Story, Elephants, Picture Books and tagged book illustrators, Elephant, Elephant and Gracie, Elephant Picture Book, Elephant's Story, Farrar Straus Giroux BYR, FSG, Macmillan, Margaret Ferguson Books, picture book, Tracey Campbell Pearson on December 31, 2014 by tcpearson. 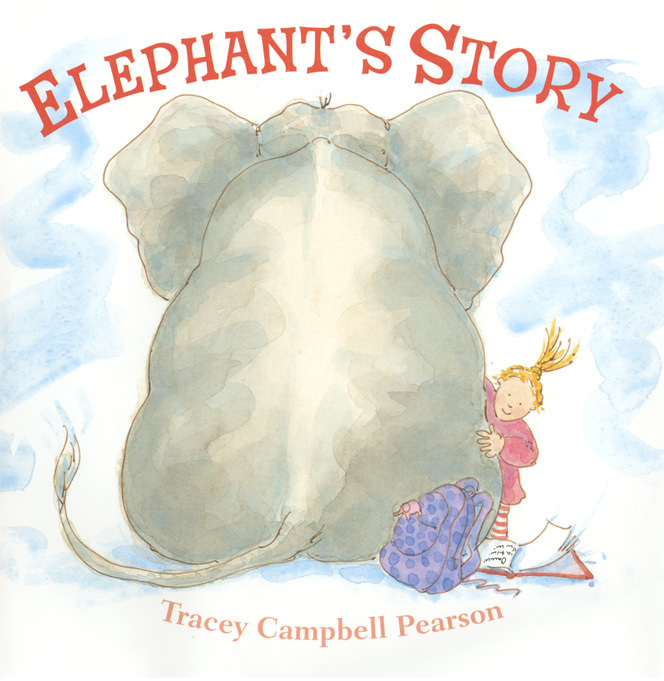 This entry was posted in Children's Books, Elephant's Story, Elephants, Libraries, Picture Books and tagged Elephant, Elephant and Gracie, Elephant Picture Book, Elephant's Story, Farrar Straus Giroux BYR, Macmillan, Margaret Ferguson Books, picture book, Tracey Campbell Pearson on November 18, 2014 by tcpearson. 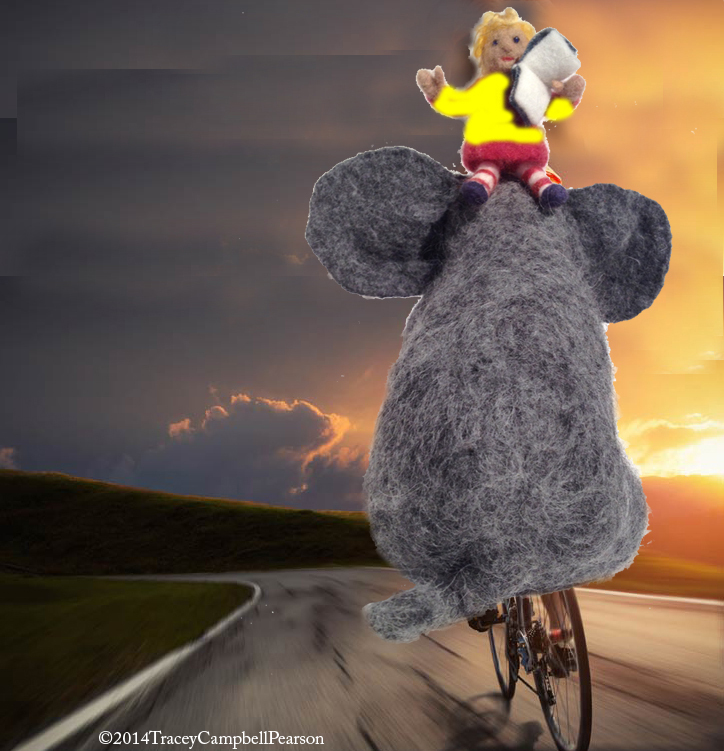 This entry was posted in Elephant's Story, Elephants, Picture Books and tagged Elephant, Elephant and Gracie, Elephant Picture Book, Elephant's Story, Farrar Straus Giroux BYR, FSG, Macmillan, Margaret Ferguson Books, picture book, Tour de France, Tracey Campbell Pearson on July 10, 2014 by tcpearson. This entry was posted in Uncategorized on July 4, 2014 by tcpearson. Elephant joins Mazza visitors for a picnic on the Jericho Center Green in Vermont. Elephant on top of Dr. Jerry Mallet’s head. 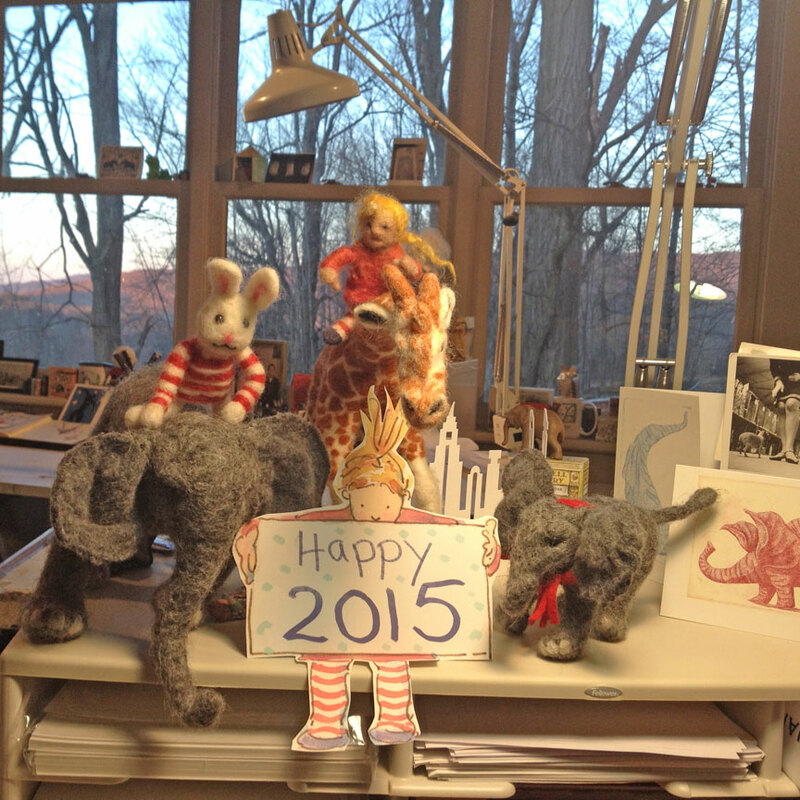 Elephant and Gracie join the Mazza visitors at the Jericho Center Country Store, VT. Elephant wants to drive the Mazza Bus. The bus driver gives Elephant a driving lesson. The Mazza Bus tour arrives at Tracey Campbell Pearson’s studio in Vermont. Yes…you can fit 42 Mazza enthusiasts and an Elephant in Tracey Campbell Pearson’s studio. Elephant and Gracie say goodbye to the Mazza bus tour. It’s quiet in Tracey’s studio after the Mazza bus tour leaves. 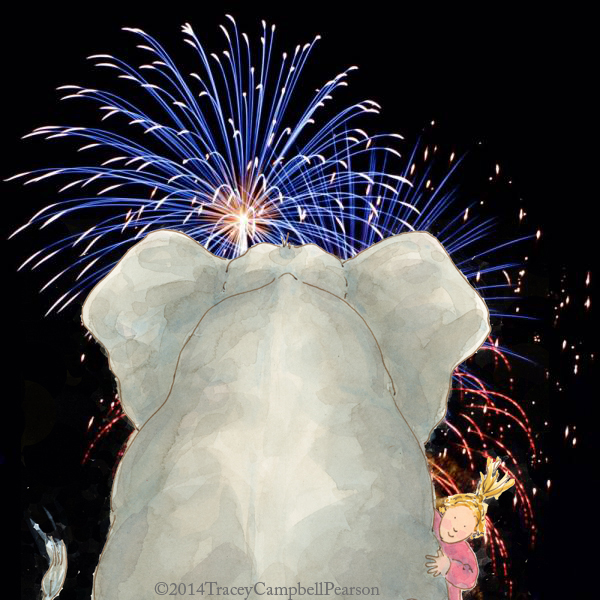 This entry was posted in Children's Books, Elephant's Story, Picture Books, Uncategorized and tagged book illustrators, Elephant and Gracie, Elephant Picture Book, Elephant's Story, Farrar Straus Giroux BYR, FSG, Macmillan, Margaret Ferguson Books, picture book, Tracey Campbell Pearson on July 3, 2014 by tcpearson. 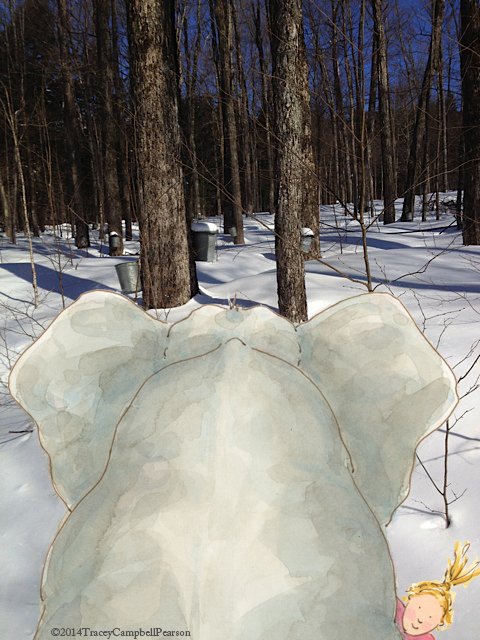 This entry was posted in Children's Books, Elephant's Story, Elephants, Libraries, Picture Books, Poetry, Vermont Libraries and tagged book illustrators, Elephant, Elephant and Gracie, Elephant Picture Book, Elephant's Story, Farrar Straus Giroux BYR, Macmillan, Margaret Ferguson Books, Poetry Month, Robert Frost, Silly Poems, Tracey Campbell Pearson, Vermont on April 2, 2014 by tcpearson.